As part of our HASS unit Using Places Sustainably, students in year 4 made interactive rubbish bins with Makey Makey to encourage recycling. 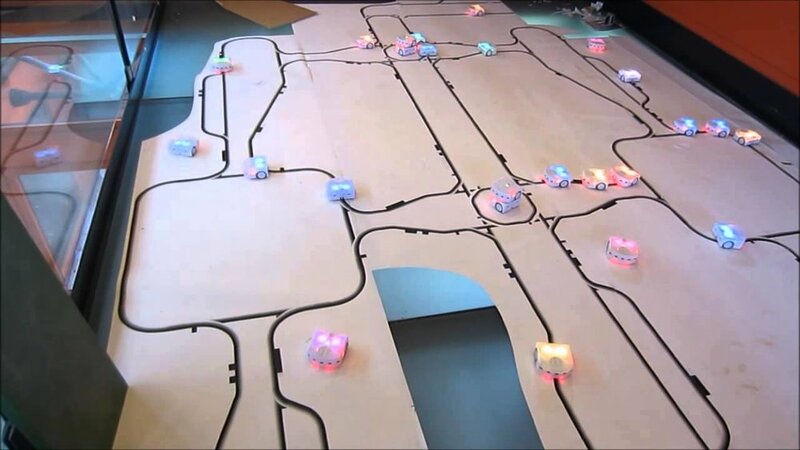 Come play with Makey Makey and see what you can make. In Digital Technologies, students retell an event in a story using a visual programming language. Using Spheros to show the Hero’s journey. Younger grades can use Blue Bot Jackets to turn their Blue Bot into a storybook character. Design and decorate your character and then send it on a journey. Student’s interest soars in new drone unit. It’s one thing to fly a drone, but to actually build a city, respond to a natural disaster and write the code for a rescue mission is an experience like no other. Using mathematics, Year 6 students designed a city that was placed on a grid like system. They measured distances around this space to use when programming the heights and distances the drone could fly. The girls then set about collaborating and creating to build a mini city, using recycled materials. The girls explored the role drones can play in real life disasters. They researched the topic to inform discussions on how they could use their drone to assist in a natural disaster that impacted on their city. The girls then proceeded to use critical thinking and design processes to plan, program and test the necessary code for their drone’s rescue expedition. Students were taken through a drone safety course to fly the drones, and also to learn about real world safety requirements. This unit covered many curriculum areas, including Design and Digital Technologies. The Robotis-Max is the next generation of Robotis's popular Bioloid robotics kit, this will be formally released at RoboCup Sydney this year in early July.... so this is your chance to get a sneak-peak at the new kit. In this workshop, we'll run through all the new hardware and software. The Robotis-MAX is based around Robotis's new XL-series Dynamixels, the new feature in the Robotis-MAX kit is a 2XL-430 Dynamixel which is effectively 2 Dynamixels in the one module - this greatly reduces the assembly time for the robots. The Robotis-MAX will have a new control module which will use a Bluetooth link for programming and debugging. The new kit will be able to be programmed using the R+ Task and R+ Motion software (as used currently on the Bioloid), as well as being able to be programmed in Python and C.
The advanced version of the Robotis-MAX will also have the ability to fit a Raspberry Pi and camera, and in doing this enable the Robotis-MAX to be used for Robot Operating System (ROS) programming and teaching. 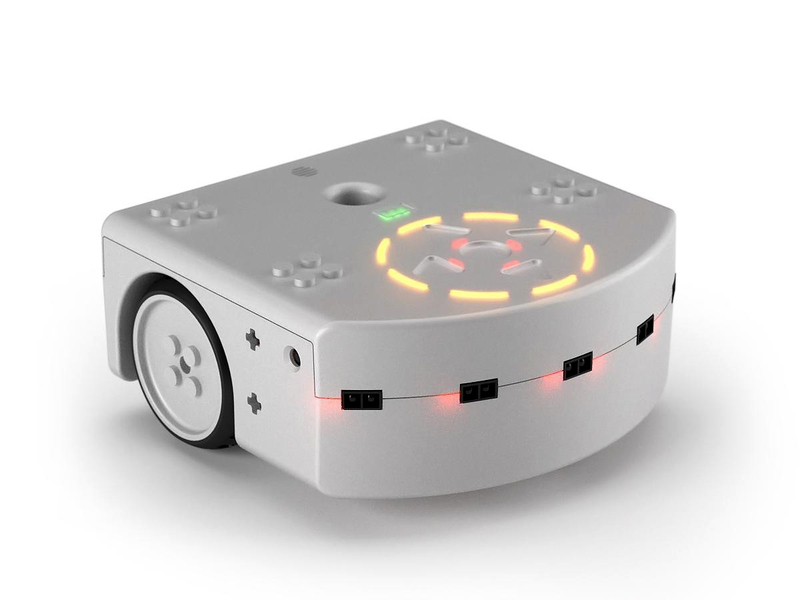 The Thymio is a great little robot for teaching coding. There are 3 different ways that the Thymio can be programmed, it can be programmed in a Visual Programming Language (VPL) suitable for users as young as 6. It can also be programmed in both Scratch and Blocky and it can also be programmed in a text-based language known as Aseba. The thing that makes the Thymio unique is the that robots can communicate with each other wirelessly and in doing so enable SWARM based programming exercises and projects to be completed. The Thymio also has a simulator that enables the user to program the Thymio, test this in a virtual simulated environment before committing the software to a robot. In this 40 minute session, we'll have a number of Thymio's available for participants to program in all 3 programming environments - participants in this workshop should bring their own Laptop with the Thymio software installed (available below). Robotis have recently released their Open Source 5 Degree of Freedom (DOF) robot arm. This robot arm can either be used as an accessory for their highly popular TurtleBot3 (TB3) Waffle robot or used as a standalone robot arm. In this 40-minute workshop, we'll be demonstrating the Open Manipulator and its features, and how it can be programmed via Robotis's new Arduino Shield.